It seems Chris Eubank, Nigel Benn and Oscar de la Hoya have been having senior moments. 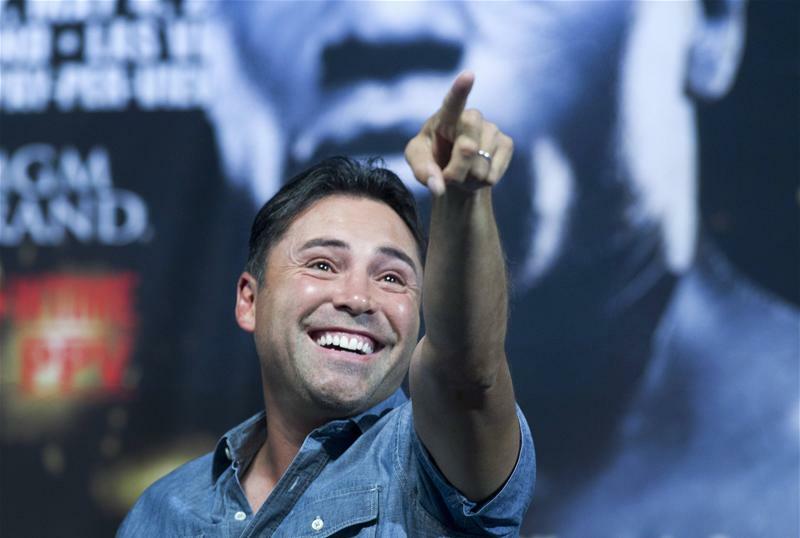 Apparently they are talking about getting back in the ring again – Benn and Eubank pummelling each other for the third time and de la Hoya against either Floyd Mayweather Jnr or Gennady Golovkin. They’ve got to be kidding. It’s crazy. Ok, so George Foreman won another world heavyweight title in his mid-forties and the enduring half-centurion Bernard Hopkins is still pounding away, though some distance from the fighter he once was. They may be exceptions but by and large the ring is no country for old men, particularly those whom haven’t thrown a punch in earnest for decades. Benn and Eubank are 48 and 51 respectively but they reckon they can still get it on for the third time after 23 years. I truly hope they don’t! But odd things happen in a sport where you never say never so nothing would surprise me – though I can’t see the Board of Control giving it legitimacy. We know Eubank is always in shape – he still likes to show off his six pack – and Benn’s been over from his new home in Australia working out with Ricky Hatton in Manchester, so maybe there is something in the wind. Maybe they need the money. But not only is it crazy, it is dangerous. Would it be as an exhibition, over 10 or 12 rounds or what? You can’t be out of the ring for that long – it is too much of a risk at their age. Robert De Niro and Sylvester Stallone they ain’t. This is for real. Boxing has a phrase ‘to old man it‘ – when a veteran fighter with ageing pins sets out to tie up and frustrate a younger opponent. Get two old men ‘old man-ing it’ with each other and the novelty would soon wear off. The pair still bang on about the two fights they had, but in my view they weren’t the greatest we’ve ever seen. I actually thought Benn won the second. Obviously Eubank has been toying with the idea for some time because just a couple of years back he was saying he would love to fight Benn on the same bill as his son, Christopher Jnr, musing: “I’m a light-heavyweight now and when I look at Bernard Hopkins I think, ‘If he can do it, why can’t I?’ That is a dream for me, it is my fantasy. Actually there is probably more chance of their sons getting it on at some time in the future. We all know what Eubank Jnr can do and Benn’s boy Conor, who is just starting out on his career at 18 , and aims to turn pro after representing Australia in the Rio Olympics next year, is said to be a another chip off the old boxing block. Johnny Nelson, another British ex-world champ, had similar thoughts of a comeback at 48, saying he fancied a crack at WBO cruiser kingpin Marco Huck, but now says he has thought better of it. How wise. Perhaps he should blow in the ears of the these two pugilistic pensioners – and Oscar’s while he’s about it. A couple of weeks back America’s Golden Boy admitted he was toying with the idea of a return to the ring then promptly knocked it on the head. But it transpires he now has had second – or is it third? – thoughts, saying he may well give it a shot at 42 providing he can meet either Mayweather of Golovkin. The mind boggles. De La Hoya last fought in 2008 against Manny Pacquiao, when he retired on his stool after the eighth round and subsequently has been through rehab with drink, drugs and psychological problems. However, now he claims his chances of fighting again are “50-50″ saying he “feels great”. It is not the money, he insists, but he misses the glamour and the roar of the crowd. Therein lies the danger, If it is not about cash, it’s about longing for the past. And there’s plenty of that flying around between Eubank and Benn. So let’s hope any Dad’s Army reunion is just a load of Twitter twaddle. 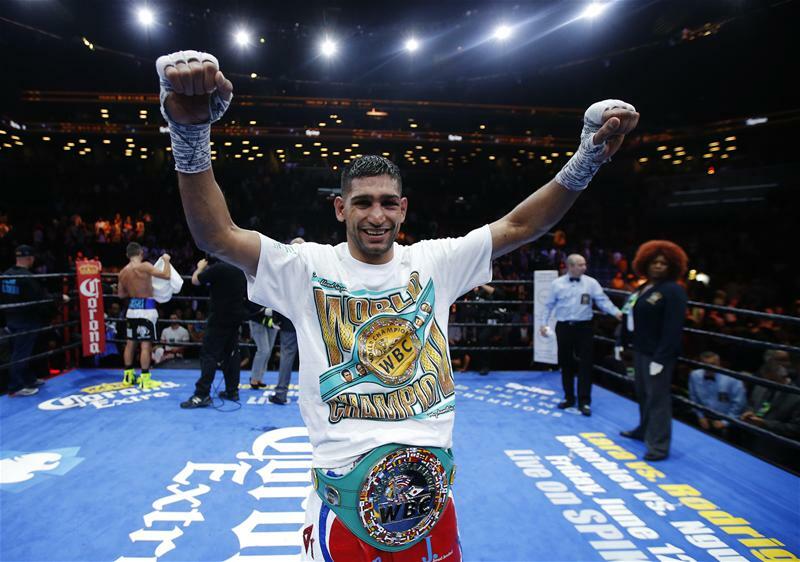 Amir Khan is at the crossroads of his career. He is obviously being played by Mayweather as if he was a big fish on a hook. Will capricious Floyd finally decide to haul him out or let him slip back again into boxing’s turbulent welterweight waters? Khan has little choice but to take the bait, hang on in there and see what happens. We all know what it means if he does get the Mayweather fight, but if he doesn’t he’s obviously got to start looking elsewhere and come to terms with fighting other top welterweights, including Kell Brook. There are other fights out there for him, among the the winner of Timothy Bradley v Jessie Vargas, which will be shown live on BoxNation from Carson City this weekend. Keith Thurman, who meets one of Khan’s former conquests, Luis Collazo, next month, is another. But Brook is the most attractive one. I like Amir and I only wish he was more popular in this country but, as I’ve said before, the mistake he’s made is setting himself up in the States, rather than continuing to build a fanbase here. I still believe he went out there too quickly. No doubt he’ll argue he’s made some big money there, but I think he could have earned more and had a more enthusiastic following nationwide if he’d first established that fanbase and then moved to California. One of the things I do admire about him is that, as a Muslim, he’s stood up and spoken out against terrorist atrocities. It is a pity that certain others in sport haven’t followed his example. The former world champion and Olympic silver medallist has demonstrated he also has courage and class outside the ring as well as in it by becoming one of the few high-profile Muslim sports personalities to put his head above the parapet and express his outrage at the shameful acts committed by the extremist zealots who defile his religion. “I must speak out and tell people that what is happening is wrong. I cannot believe how sick in the mind some people are. I despise what is happening in the name of our religion, it has to stop,” he declared the horrific terrorist attack on school in Pakistan, which he then helped rebuild both physically and financially. Similarly courageously outspoken views have been expressed by another famous sporting Khan, former cricketer-turned-politician Imran, yet, disappointingly, the Khans are relatively isolated among sport’s Muslim community, though Muhammad Ali has always vehemently condemned Islamic extremism. It would be good to hear similar sentiments from other Muslims such as the athlete Mo Farah, the England Test cricketer Moeen Ali, who, like Amir, is of Pakistani descent, together with other Muslims prominent in football, basketball and squash. As Amir says, it could make a difference. I would also like to know why, at 28, unlike most British world champions and Olympic medallists (he was British boxing’s youngest-ever) he has yet to be given an honour – an MBE at least – if not for his boxing achievements then surely for his immense charity work and contribution to community relations. If Carl Froch and others can get a gong, why not Amir? For some years I’ve been saying that Adrien Broner is not as good as he thinks he is and we saw that again when he was beaten by Shawn Porter last weekend. 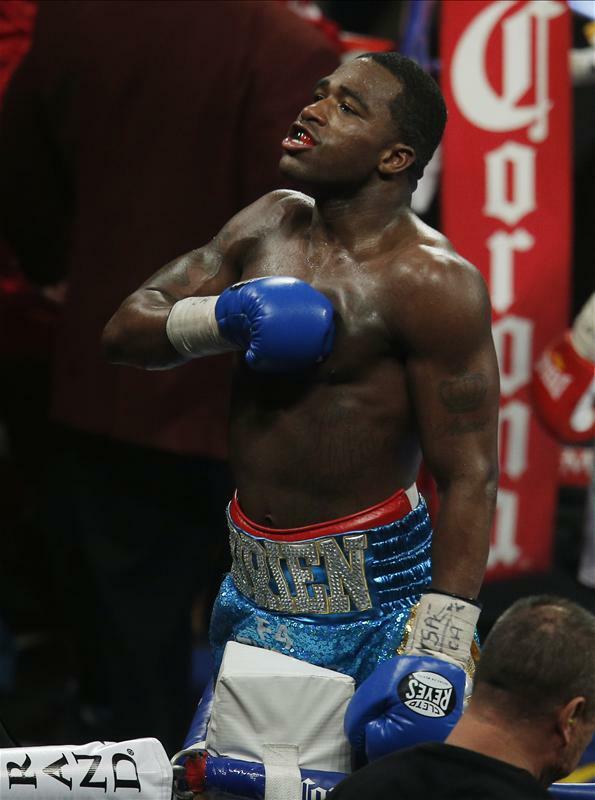 The preening Broner calls himself The Problem but his problem is that he’s nothing special. The Cincinnati Kid is coming up 26 and already looks past his sell-by date. He was outclassed and outfought by Porter, save for the moment he briefly floored his fellow former world champion in the final round. Marcos Maidana had also exposed his flaws and put him on the deck. Before we had a parting of the ways, I urged Ricky Burns to fight him, but his joint-manager Alex Morrison wouldn’t have it, saying: ‘He had a bad feeling about it’, whatever. It was a big-money bout and one I am convinced Burns would have won. I told them that Broner was not the monster some thought he was – but they didn’t want it. We had agreed terms with Golden Boy and it was a big disappointment to me that it didn’t happen. The thing about Broner is that he is easy to hit and if you press him he struggles. He would have been coming up in weight and a good, smart fella – as Burns was then – as a big lightweight with a big heart and a big reach would have been too brave for him. If he had taken that fight and won, think where he might be now. Read Hubbard’s Cupboard tomorrow on the greatest-ever round fought in boxing.